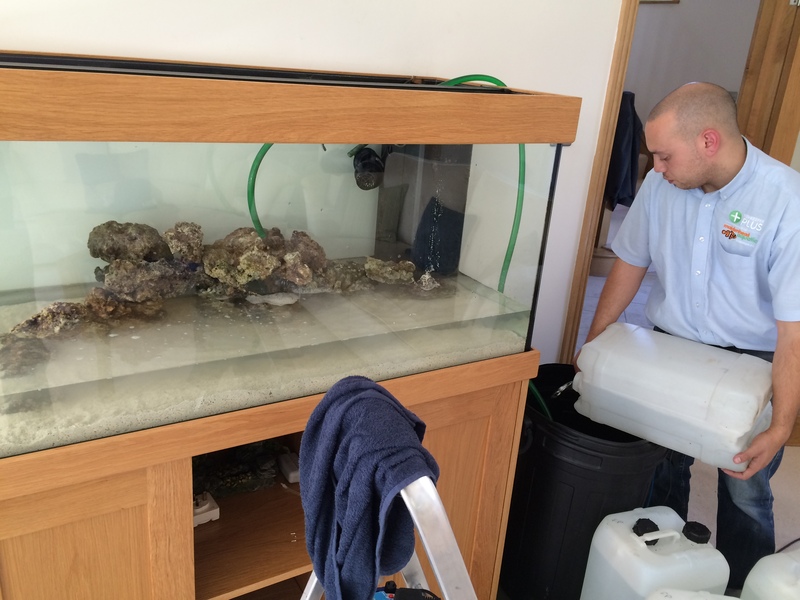 Fishkeeper Plus offers an installation service. This service is available from Monday to Friday 9am – 6pm. Due to the diverse tastes of our clients, we have gained a lot of experience with installing different types of aquariums. 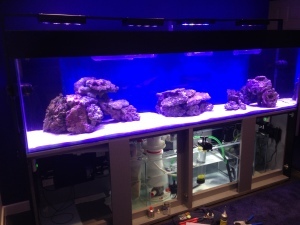 Aqua Oak, SeaShell, Aqua One, Fluval, Red Sea and Askoll ranges are just a few of the brands we install on a regular band the Seashell range are a few brands we install on a regular basis, along with custom-made bespoke aquariums, which are our speciality. During conversations with the client we determine what type of aquarium would work best, in terms of looks and maintenance. On average a aquarium install takes around 3 hours. During this time we can also aquascape the aquarium if the client requests this. Aquariums that have been hard plumbed with PVC and glue may require 24 hours for the glue to dry before filling with water. Fishkeeper Plus can deliver anything that is needed for a successful installation and will work closely together with the client a few days prior to the event. Any installation comes with a free delivery. I have kept tropical freshwater fish for many years. Now I have made the big step into saltwater fish keeping. The guys have changed over the aquarium to make it compatible for saltwater. They also walked me through everything I need to know and they keep a close eye on the tank with their maintenance service. With the help from the guys, I am a lot more confident in running a successful marine aquarium. Thanks and see you soon!